When kids love camp, they really, really love camp. And they're not hard to spot since they never shut up about it—often into adulthood. So for those of you who relish the nostalgia of those carefree, summer days of yore, you'll probably want to look away now. 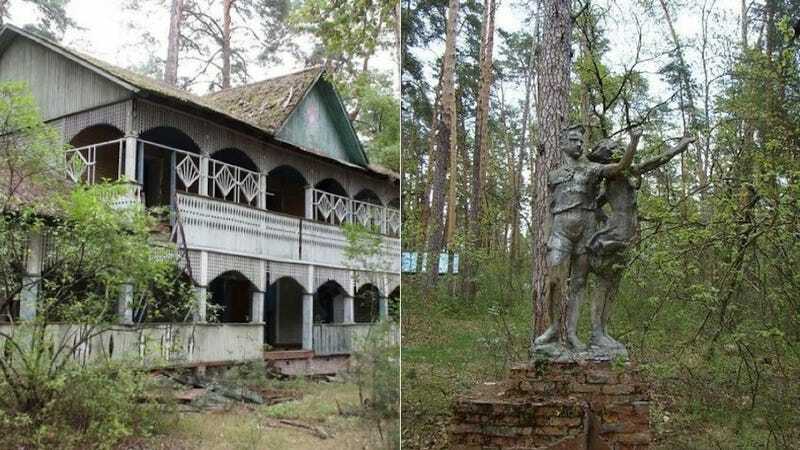 The blog English Russia has posted a collection of gorgeous, haunting, and totally creepy photos of abandoned Russian summer camps. Because golden childhood memories, it seems, don't age so well. Taken at various camps along the bank of the Desna river, the photos show just what can happen when a place meant to provide comfort to so many gets its good deeds rewarded with neglect. What makes these scenes particularly unsettling is the fact that, simply due to the nature of summer camp itself, we know that these buildings were once bustling with screaming youngsters. Like in the void of a rec hall below, you can almost feel what must be a now-suffocating, unnatural silence.